Do your kids have an interest in technology, building robots, coding, creating video games, building websites, photography, digital video, or making amazing Minecraft worlds? Then they will love the summer programs from Fleming Tech Camps at Tiki Tiki Board Games. To achieve our mission, Fleming Tech Camps partner with schools, museums, universities and summer camps to help those organizations offer state-of-the-art technology programs. This summer, Tiki Tiki Board Games will partner with Fleming Tech Camps to host six of our amazing summer camp programs. Parents can enroll their campers in up to three weeks of Tech Camp at Tiki Tiki Board Games. Summer camp programs at Tiki Tiki Board Games run from 9AM to 4PM. In the summer of 2019, Tiki Tiki Board Games and Fleming Tech Camps will will offer three weeks of programs, with two technology programs each week. Throughout the summer, we will offer technology camps for two groups: rising 2nd through 4th graders and rising 4th through 10th graders. Pricing for Fleming Tech Camp programs at Tiki Tiki Board Games is $395 per week. Enroll Now. For Intermediate and Advanced campers, this program will focus on servers, adventure design, Redstone and installing MODs. Using their problem solving skills and Redstone curcuitry, campers will build complex and large-scale adventures and mini-games. Using servers, campers work in teams to learn how to set up and administer Minecraft servers for multi-player adventures. 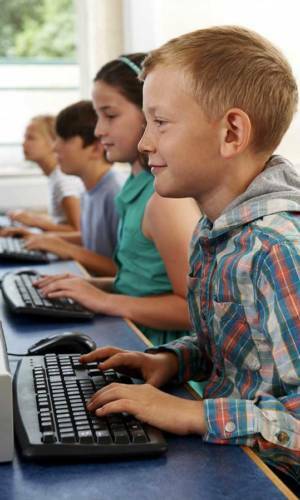 Campers will also be provided instruction on Tekkit and the Technic Platform to help the install MODs within Minecraft.